Today’s topic for Copyright Week is Transparency: Whether in the form of laws, international agreements, or website terms and standards, copyright policy should be made through a participatory, democratic, and transparent process. 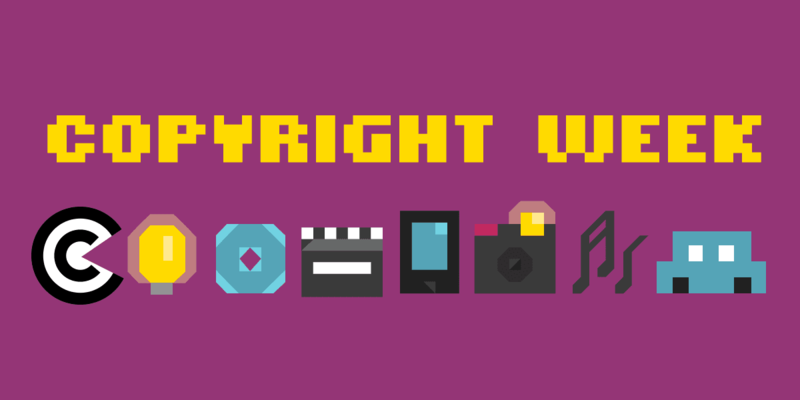 For Copyright Week last year we wrote about transparency and representation in relation to the public consultations leading up to the European Commission’s release of their new Directive on copyright in the Digital Single Market. Our headline read, “Evidence-based copyright policy making should be a no-brainer.” We argued, “It’s obvious to us that any legislative proposal should be developed from reliable, impartial economic and policy research whose foundation is based on evidence and facts.” But when we saw what was in the Commission’s draft, it became clear that a large swath of substantive feedback from the public was mostly ignored. Here we are a year later, and the situation in the EU has not improved one bit. There has been a steady drumbeat of trusted research and expert commentary on how the introduction of a press publishers right will not only fail to generate revenue for a rapidly changing news publishing environment, but will also harm public access to information online. Much of this research was tendered by the European legislator itself. For example, in September 2017 the Legal Affairs committee published a report on the potential impact of Articles 11 and 14-16 of the Commission’s proposed Directive. The research was overseen and published by the Policy Department for Citizens’ Rights and Constitutional Affairs. But, as we noted in our blog post, it wasn’t clear when (or if) that research would have been presented to the JURI MEPs ahead of them having to vote on the issue. In December 2017 MEP Julia Reda uncovered the existence existence of another study debunking proposed benefits of the press publishers right. The study undertaken by the European Commission’s own Joint Research Centre (JRC) shows that “newspapers actually benefit from news aggregation platforms.” Together with the study MEP Reda also received a copies of an exchange between the European Commission directorate that is responsible for the proposed directive and the author of the JRC study. In the exchange the JRC is told to refrain from publishing his results until further notice, again with the apparent intention to withhold them from MEPs who were at that time discussing the merits of the publishers. Finally, the Commission’s subterfuge extends beyond simply the controversial press publishers right. MEP Reda also shared an unpublished report of a study examining the effects of copyright infringement on sales of creative works. Apparently the contract for the economic research was tendered by the Commission in 2014 for €360,000. It was completed in 2015 but never published, and Reda received a copy of the report after several freedom of information requests. The Commission’s suppression of research it asked for but which doesn’t align with its preferred narrative reveals in a harsh light the ongoing hypocrisy of the their rhetoric around evidence-based policymaking. Copyright policy should be made through a participatory, democratic, and transparent process. And the governmental actors leading this process should have the courage and decency to share all relevant information with all stakeholders, especially the public. This entry was posted in EU policy, evidence and tagged ancillary copyright, copyright reform, Copyright Week, European Commission, transparency. Bookmark the permalink.